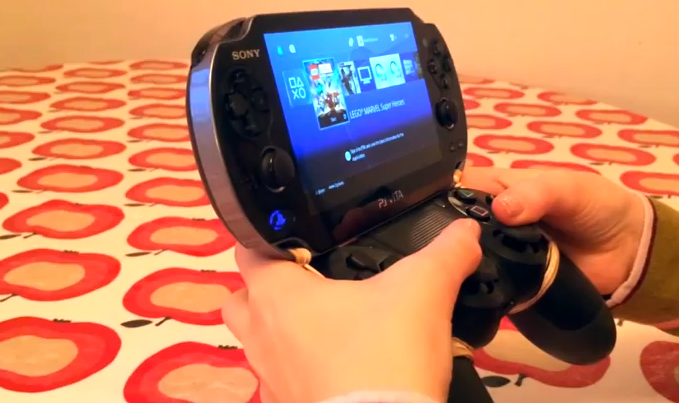 FamilyGamerTV makes PS4 Remote Play even cooler. Remote Play is one of the PS4's best features. Similar to the Wii U, it allows you to take your games off the television screen, but in this case, with Sony's PS Vita handheld. Andy Robertson from FamilyGamerTV sent along this detailed and impressive video where he managed to use a DualShock 4 when playing games on the Vita. In addition, they attached the portable to the controller. Turns out, it doesn't take much effort to make it happen, and this caught the attention of Sony President Shuhei Yoshida, who posted a link through his Twitter account. Outstanding idea, Andy! We look forward to seeing what FamilyGamerTV dreams up next. PS: we love that makeshift video game wallpaper!